Can we know if the replacement gilts are protected against PRRSv? 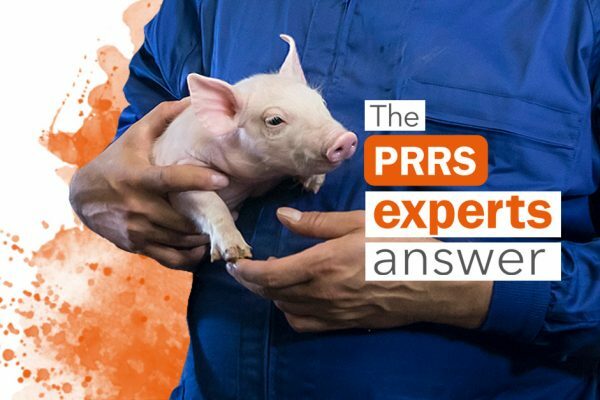 With a laboratory diagnostic positive to PCV2 and PRRS, how can we be sure which disease causes poor growth and respiratory distress? Reproductive and respiratory problems caused by PRRSV alone or in combination with Circovirus, App, Pasteurella, etc. are often seen in an endemic PRRS region. What would you advise in order to improve the situation? What’s the role of transport vehicles and loading bays to avoid PRRSV introduction into a farm?